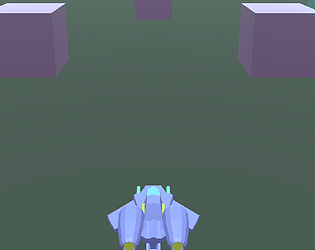 Primarily worked on the basics of unity. This is our second game jam and I'd say that we've really honed in on the API and are getting a lot better at getting the results we want. this projects was a great attempt for us to work in a 3D environment. It did get one of our members excited to attempt to build his own game engine. For now there is only a game menu that explains the controls and the map you play on. you can shoot and you can move around. there are no hazards or enemies. So how Low? The Limbo bar was attached to the ceiling. OSX. I'm at work and can only build in it :/ when I get home I hope I can update to allow Windows users to demo. 3 but 2 got caught up in life work.